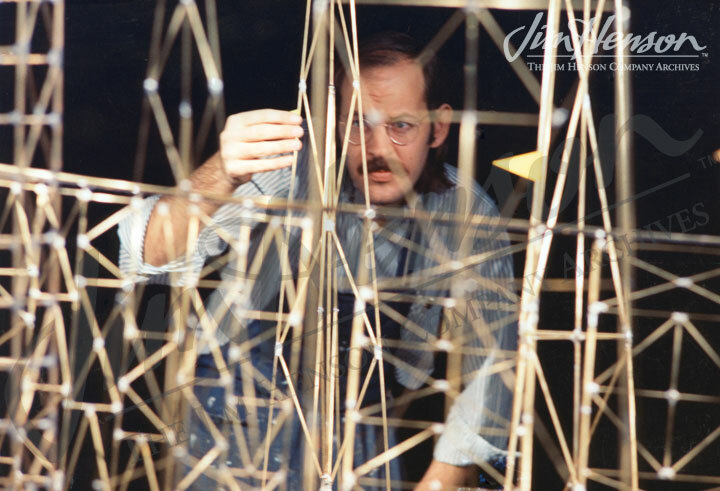 Along with the Muppet inserts for Sesame Street, during the first few years, Jim had the opportunity to create short films to teach counting, the alphabet and other concepts. 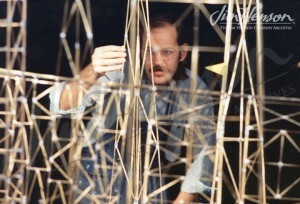 He used a variety of techniques including live-action, stop-motion animation, and Claymation. Most of the films grew out of Jim’s concepts, and he led the creative work. A few were produced with other artists – two animated films were created with Maurice Sendak and some alphabet films in Claymation were collaborations with Marc Chinoy, for example. In the case of a film for the Number 3, Jim followed the lead of his performing partner Frank Oz. In the film, a ball rolls through an intricate metal sculpture designed and fabricated by Oz. The ball periodically trips levers, causing signs to pop up showing the numbers 1, 2, and 3, which are counted by a young child. 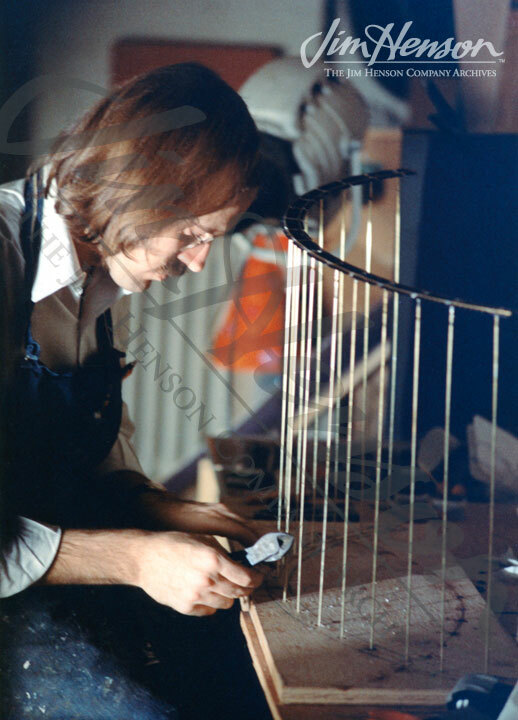 The accompanying music, sounding something like a tune from a calliope, was composed by Jim. The original version of Oz’s Number Three film (filmed in late 1970) ends with the ball falling into a box. A key is turned, like on a gumball machine, but instead of the ball coming out the spout at the bottom, it has apparently been ground up and a red powder is released. 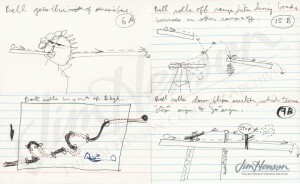 In 1974, in recognition that some young viewers may have been uncomfortable with the ball’s destruction, a second version of the ending was filmed. Instead of powder coming out of the spout, three balls roll out seemingly transformed into cherries, landing on piles of whipped cream atop three ice cream sundaes. A little girl (three and a half year-old Heather Henson) reaches in with a spoon, and with a delighted expression, eats one of the cherries. Truly a happy ending! See Frank Oz’s “Number Three” film with Heather Henson. 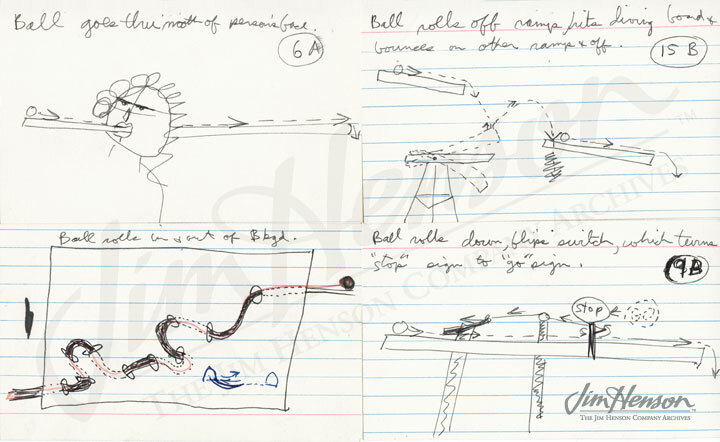 Frank Oz’s ideas for his “Number Three” Sesame Street counting film, 1970. 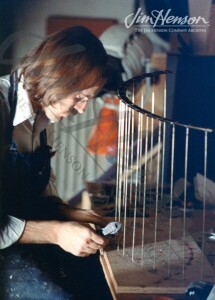 Frank Oz building the sculptural track for his “Number Three” Sesame Street counting film, 1970. This entry was posted in 08-August '74, 1974, Sesame Street and tagged Frank Oz, Heather Henson, Marc Chinoy, Maurice Sendak, Sesame Street. Bookmark the permalink.